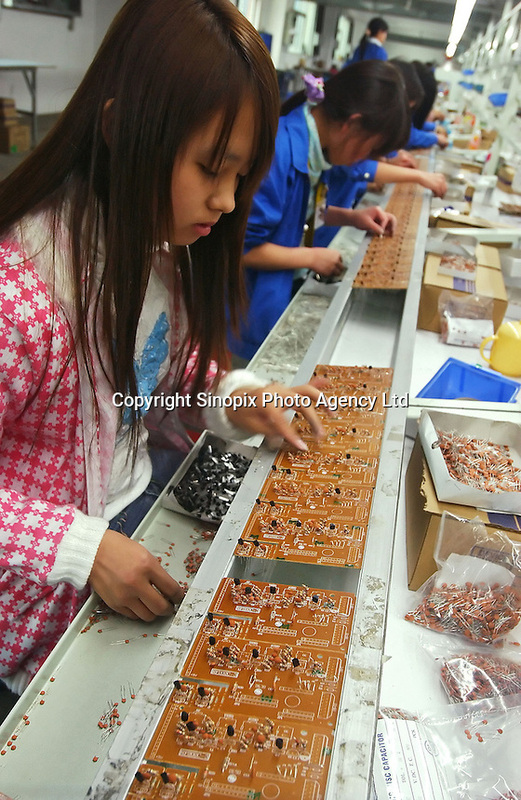 Factory workers assemble circuit boards at Zhuhai Aimei Electronic Technology Co., Ltd. which is a MP3 and MP4 factory in Zhuhai city , Guangdong Province, China. MP3 players are coveted items among young adults in China. Students and young professionals rank a MP3 at top of their "must buy" electronics list in 2006. .